The RSD Rourke is a short-cuffed summer glove with classic styling and heaps of character. It is constructed from sturdy cowhide leather and the fit is spot on, making for an extremely comfortable glove. That doesn't mean the Rourke will let you down when it comes to protection: it has reinforced padding on the fingers, palm, side and back of the hand and a velcro wrist tab ensures it stays put when the going gets tough. The leather is perforated to allow airflow on those sun-soaked summery rides. 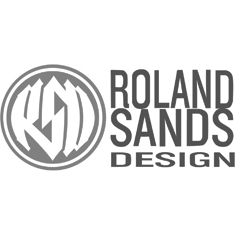 An instant classic by Roland Sands Design.